Ramadan is in full swing, and that means many of us are beginning our preparations for Eid! I have to admit, I was a little bit let down when I realized just how close Eid really is. I still have my many relatives and friends left to shop for, and I wanted to get them something truly personal. But where do you find personalized Eid gifts for? If you are searching for personalized Eid gifts for someone special this year, believe me- you have come to the right place! I’ve some great ideas. Hurry! There’s not much time. Al-Hafiz Co. is the only giant company in Kuwait that offers a wide range of unique and versatile customized gifts options at affordable prices to its corporate and personalized customers. We are the quality top producers having an impressive range of gifts options to choose from our update gallery on the website. Also, Explore Ramadan Customized Gift Items. 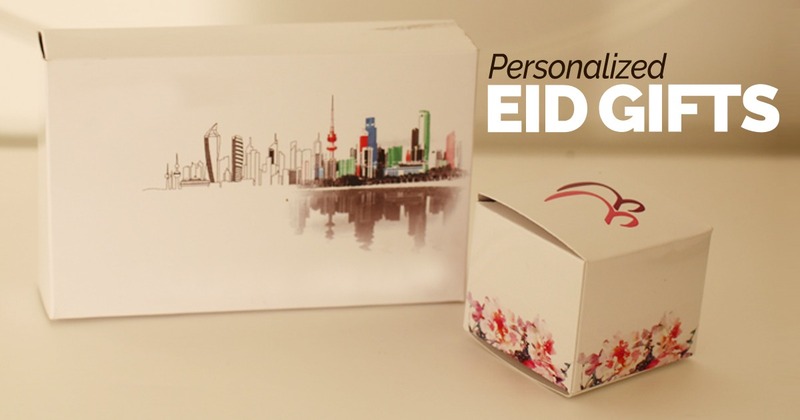 Surprise your friends and relatives this Eid with a personalized gift. Treat them with our spellbinding spangle printing on mugs, photo frame printing and UV printing on mobile covers. All objects can be customized fully according to your own requirements. We give the option to entertain your loved ones sharing your thoughts and compliments to them. We already have a high peak variety in our online store. You are sure to find the perfect one to match their bedroom’s decor. Purchasing Eid gifts is really tiring procedure and it really increases tenfold, when the company plans too late in arranging the perfect gifts for your corporate clients. When Eid is very close and you have to buy quality customized items in bulk for your clients. We are the best one-stop Shop, to stop all your worries in a spectacular way. If you are given the task of delivering the perfect Eid gift for your company’s clients or most valued staff, stop crying and get excited. Sharing your festive with your corporate clients and employees give your company a boost and next level confidence towards your company products and services. If you are running late and have planned later for corporate gifts, we are ready to serve you with our most unique customized gift items. We offer the different range of customized gifts collection for your clients. We cover all industries whether you want to gift personalized mouse pads or USB’s to IT clients, or want to give daily basis gadgets to your corporate users that include customized stickers printing, pens, table calendars and tissue boxes. Our company offers the state of art digital and laser printing on all gadgets. How about a handsome piece of personalized laser marking and printing on acrylic boxes and ceramic titles this holiday season? With everything from extraordinary sticker prints to magnificent Print on Fabric, we are sure you will find something they love! Our wide and unique variety is our strength. Customized diaries, mobile covers, pen stands, water bottles, wall clocks and many more options are there for all small and medium enterprises to entertain them in the best possible way. We are also providing the customized gift boxes that can carry your corporate symbol in a refined way. Now, what are you waiting for?? Just Sign up AL-Hafiz Co. now to be the first one to find about latest personalized and customized Eid gift options and services trend at most affordable prices. As we know the fact that choosing gifts for friends and family can be daunting at times, but with a little planning ahead, you can find the perfect thoughtful gift for everyone on your list.